GI Raceways are widely used in the area where the electrical system to be connected to provided the Physical pathways for the cables running in side. Raceways Trays protected the cables from moisture and atmospheric debris. GI Raceways are most suited for running the Signal cables. GI Raceways are widely used in the area where the electrical system to be concealed it provides the physical pathway for the cables running inside. 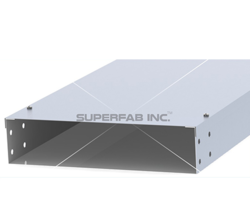 GI Raceways protects the cables from moisture and atmospheric debris. GI Raceways are most suited for running the signal cables GI Raceways are treated as a important component in designing of complex data centres and servers.